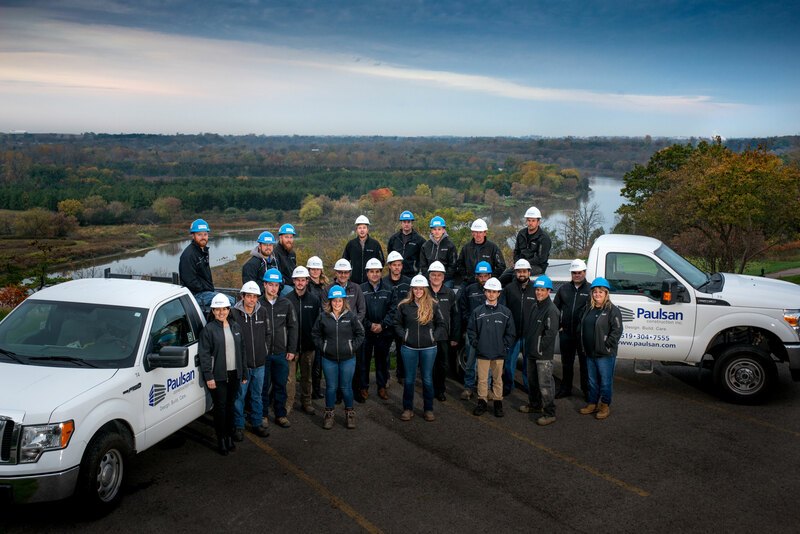 Paulsan Team – Paulsan Construction Inc.
Every project we undertake is an important part of our business, and our clients can expect a dedicated team focused on their needs. Our employees have a wealth of industry experience as professionally qualified Project Managers, Project Coordinators, Architectural Design, Estimators, Contract Administrators, Site Superintendents, Site Labourers and Project Cost Controllers. We also have access to specialized contractors and seasonal staff as needed for specific project requirements. In addition, we ensure our sub-contractors are the leading providers in their industry, which enables us to deliver innovative, cost efficient solutions for every client and every project. 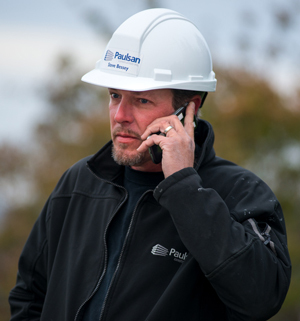 Paulsan employees rely on smart-phone technology to keep clients informed and jobs on schedule. Paulsan Construction Inc. has been actively pursuing organization and personal security clearance with the Government of Canada ISS Client Service Centre and Personnel Security Screening Division (PSSD). This is an extensive Government process including Criminal Background Check and Fingerprints. Paulsan Construction Inc has received organization clearance. Paul McCaig, President, is confirmed as Chief Security Officer (CSO). It is mandatory that each of our employees participate and obtain Reliability Status (clearance). Not only does this process ensure we are a qualified service provider for the Government of Canada including Department of National Defence; this process also provides all of our clients with the added confidence and trust in our team.